Results will vary from dog to dog and owner to owner and, as with any training program, you could have more or less success. To otherwise make such a claim would depend on too many factors beyond our control, such as: the amount of time you are willing to spend training your dog, your ability to apply what you have learned, and the possibility that your dog may have a rare genetic or health condition, or other factor affecting its behavior. 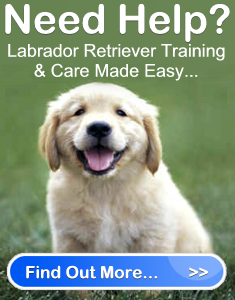 labradorretrieversavvy.com not guarantee that your dog will instantly start to behave or problems will be resolved. When in doubt, consult a professional veterinarian, dog trainer or canine behaviorist. labradorretrieversavvy.com is not responsible for any of the opinions or comments posted to our site. labradorretrieversavvy.com is not a forum for testimonials, however the site does provide testimonials as a means for customers to share their experiences with one another. To prevent against abuse, all testimonials appear after they have been reviewed by management of labradorretrieversavvy.com. labradorretrieversavvy.com does not share the opinions, views or commentary of any testimonials on this site, which remain strictly the views of the reviewer. Disclaimer	Overall rating:	4.8	out of 5 based on 64	reviews.